Q: What’s the biggest stumbling block for Agile adoptions? A: Organisational Culture at odds with Agile. Theory of Constraints, the Scrum Values and even just common sense suggest that we should focus our improvement efforts on the biggest problem/constraint first. If we don’t, we may be wasting our time solving secondary problems when those secondary problems wouldn’t even exist if we solved the primary problem. This is a situation that I see repeatedly in my Agile assessment and coaching work. Q: If Organisational Culture is the primary problem then how do we change culture? To actually lead, the leader must go first. If they expect others to think and behave in a new way, the leader must first think and behave in the new way themselves. A leader demanding new thinking and behaviour by others without first exhibiting it themselves risks being seen a hypocrite and is certainly not leading in any way aligned to Agile or high performance. So, what are you going to do about culture and leadership in your organisation in 2019? In my experience, books, videos and podcasts really aren’t sufficient when it comes to leaders genuinely buying into the need for change within and to actually go through with breaking from the comfort zone of their habits. 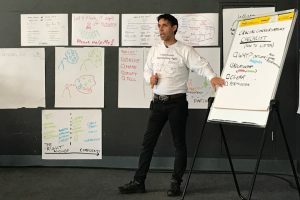 There are big hurdles to overcome related to being convinced of the case for personal change, having clarity as to what that change looks like when they’ve never seen it enacted before and finding the practical tools to deliberately practice the new ways of “showing up” and interacting. The real challenge is undertaking personal self-reflection when it may reveal uncomfortable truths. For that, what is required is a guided experience. 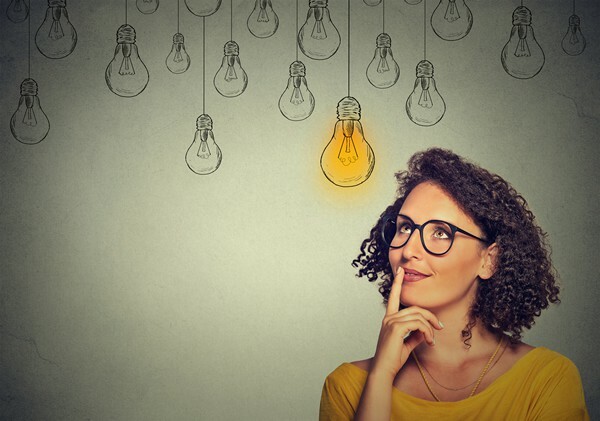 Done well, training can create a guided experience that turns lightbulbs on such that people arrive at convictions to change themselves and through that their team and organisation. If the “boss” and “boss’s boss” referred to earlier had such a lightbulb sparking experience in relation to leading Agile change, what difference is that likely to make for you? There are many leadership training options out there but few are designed specifically for Agile-related change. Within that set, fewer still are designed and delivered by thought leaders and the most accomplished in the Agile leadership space in a way that is directly relevant to Agile and humanistic management for high performance. Imagine if your boss and your boss’ boss really did “get it”. Imagine if they thought of you and your team not as a fungible resource to be exploited but as a vibrant human being full of potential to be supported through failure and nurtured for growth. Imagine that your boss stopped telling people what to do and started listening with empathy. Imagine if they painted a picture of the context and opportunities and supported initiatives from volunteers inspired to rise to the challenge. Imagine that there was no longer you and your “boss” but just “us” together and in support of one another. As you may imagine from these examples, the high performance leadership path is more personally challenging but the results far superior. If you think you have a culture/active leadership weakness with your Agile adoption, I would encourage you to explore how this programme can switch-on lightbulbs and transform leaders first. Doing so might just unlock the next level of Agile for your organisation in 2019. What we at Scrum WithStyle are proud to offer Australian leaders is the Certified Agile Leadership (CAL) programme. For more on this see our Certified Agile Leadership page.